Marketing is a new program that integrates the full range of DECA competencies for competitive event preparation. It takes advantage of the dynamic and interactive world of marketing today and allows your students to experience this first-hand. 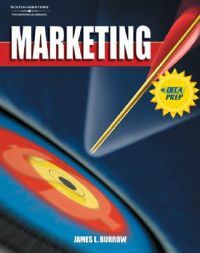 Built around the National Marketing Education foundations and functions of marketing, this text focuses on professional development, customer service, and technology as your students' keys to success. Using a magazine-style, contemporary design, Marketing is exciting plus informative!